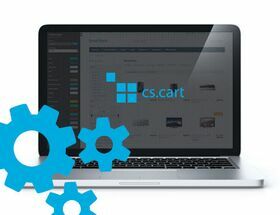 Extension to CS-Cart and Multi-Vendor allows you to connect your store with internet payments system. PayU offers wide range of methods that cover almost 100% of polish online payments. Extension to CS-Cart and Multi-Vendor allows you to connect your store with internet payments system. PayU offers wide range of methods that cover almost 100% of polish online payments. Except basic channels of payments, like online transfers and credit cards, PayU enables payments via PayPal. Use comfortable solution to proceed payments. Instant information about completing payment shortens order realizing time. PayU guarantees safety of transactions and data confidentiality. In PayU payment configuration we type access data, available from payment point configuration in PayU. In configuration of PayU we can copy access data and turn on test payment.